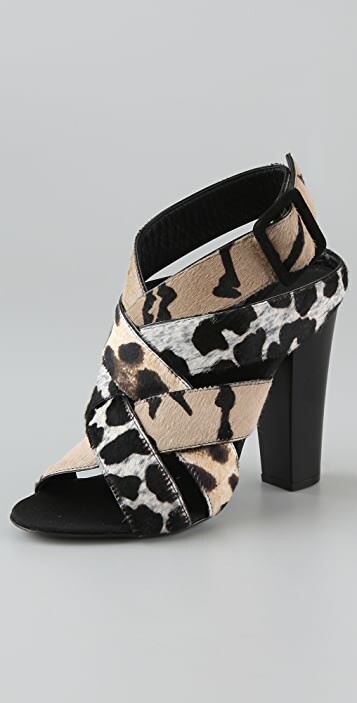 These high-heel mixed-print haircalf sandals feature crisscross straps and a buckled sling-back strap. Lacquered heel. Leather sole.